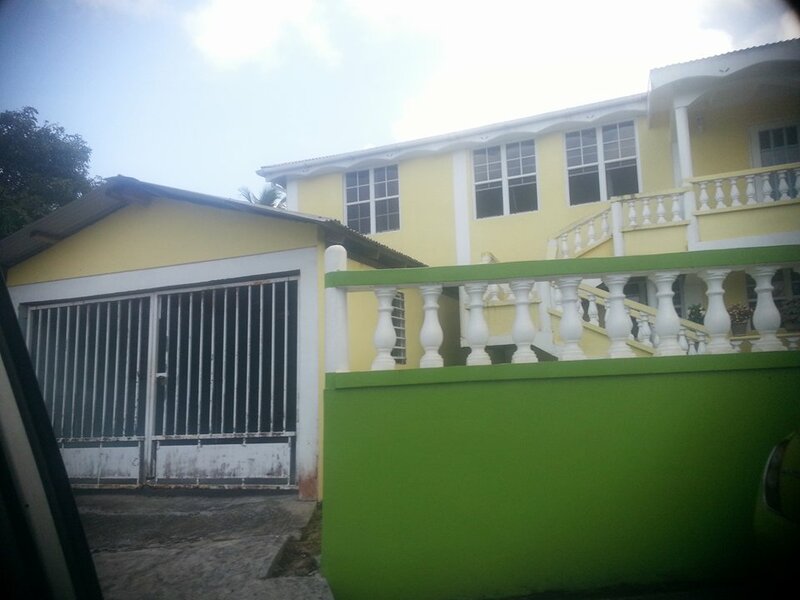 A report reaching us today indicate that there was a serious incident in La Plaine yesterday morning. In an audio interview performed by the head of the La Plaine Disaster Preparedness Committee Jason Fontaine, farmer Sylvanus "Sylo" Jno. Baptiste alleges that the Member of Parliament of La Plaine, Minister Petter St. Jean and his son Dirk (pictured above), forcibly picked up Mr. Jno. Baptiste and two other farmers, Mr. Foster Laronde and Mr. Worrell Cuffy, and took them to his residence on Saturday morning. Mr. Jno. Baptiste alleges that the three farmers were confined to a room in the basement of Mr. St. Jean's home and were accused of having stolen dasheen from Mr. St. Jean's farm. Mr. Jno. Baptiste stated that he told Mr. St. Jean and his son that they were innocent and, dissatisfied with the pleas of innocence, both Minister St. Jean and his son proceeded to inflict bodily harm on the farmers with whips. The farmers body were bruised as a result of the beatings. Just as astounding is Mr. Jno. 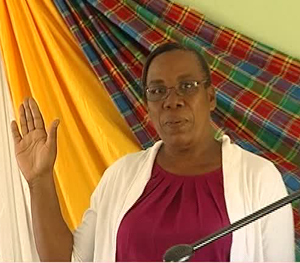 Baptiste's allegation that the abuse occurred in the presence of Ms. Rose Blaize, the chairperson of the La Plaine Village Council, as well as police officers, who were apparently summoned to the home by Mr. St. Jean. Mr. Jno. Baptiste also alleged in the interview that "Brother Lawrence", who we have learnt is the Pastor of the La Plaine Pentecostal Church, was present. The police officers failed to prevent the assault and failed to arrest Mr. St. Jean and his son for having inflicted harm on the farmers. There is no doubt in our minds that this amounts to a case of kidnapping, illegal confinement, and assault. That a minister of government finds it quite comfortable to take the law into his own hands and proceed to violate the constitutional rights of the citizens of the country is astounding. Furthermore, the police are aware of this and are yet to act on what is clear evidence of a number of crimes. Several weeks ago the police authorities, without any evidence, interrupted a burial ceremony in order to arrest two individuals on a flimsy accusation of having poked another individual. We now have evidence of farmers in La Plaine bearing visible marks of abuse and the police do not appear to be interested in acting. How long are we going to put up with this abuse? This is a question that no one seems to know the answer to. To listen to the audio interview with farmer Sylo Jno. Baptiste and other farmers, click on this icon. we understand, a farmer with an adjoining property instructed someone to retrieve produce from his farm but that individual mistakenly took the bags of produce on Mr. St. Jean's property. The matter has been settled. What is not settled however, is the ability of a sitting government minister to freely extract persons within his village, detain them against their will and proceed to inflict bodily harm upon them with apparent impunity, all in the presence of police officers who failed to intervene. 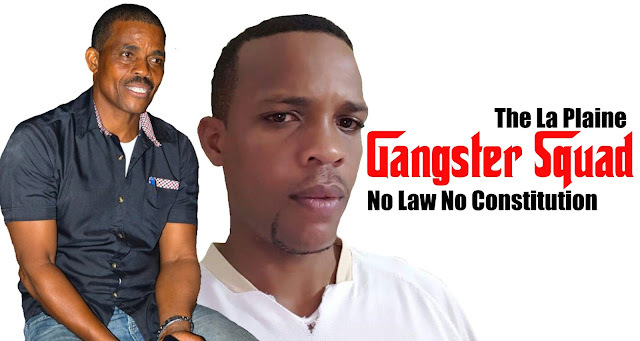 Dominica is being run by a gangster government. Petter St. Jean and his son must be made to pay a price; they are not above the law. Or are they? 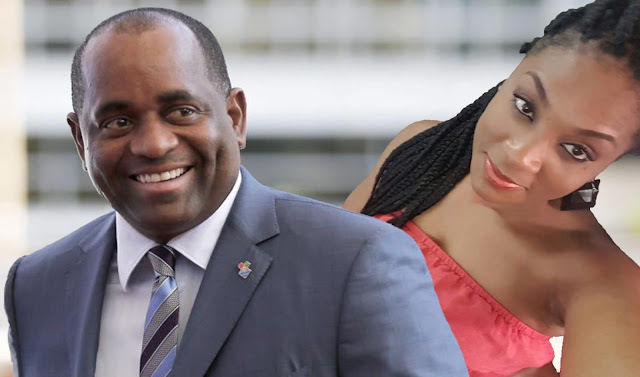 This is Dominica, anything illegal goes under Roosevelt Skerrit.